I grow lots of plants in containers and particularly in concrete mixing tubs sunken into the ground. Buying enough Perlite for all my containers has become cost prohibitive. I have found a very good substitute. Thick styro meat trays which have been thoroughly cleaned and scissored into half inch strips and then into about half inch squares are my substitute. An average meat tray will yield about 1 1/2 cups of these little squares. They are put into a blender with enough added water to float the squares near the top. Blending for about 1-2 minutes and then draining in a sieve will give you a nice Perlite substitute. It has the consistency of coarse sand, but very lightweight. Note: Thin meat trays will not work. They produce an airy, snowflake like product which tends to blow away in the breeze and does not provide any real aeration benefits. Can you grind styrofoam packing peanuts up and use the same as meat trays? No, Ethel. Those peanuts are mostly air and would not work. Awesome! 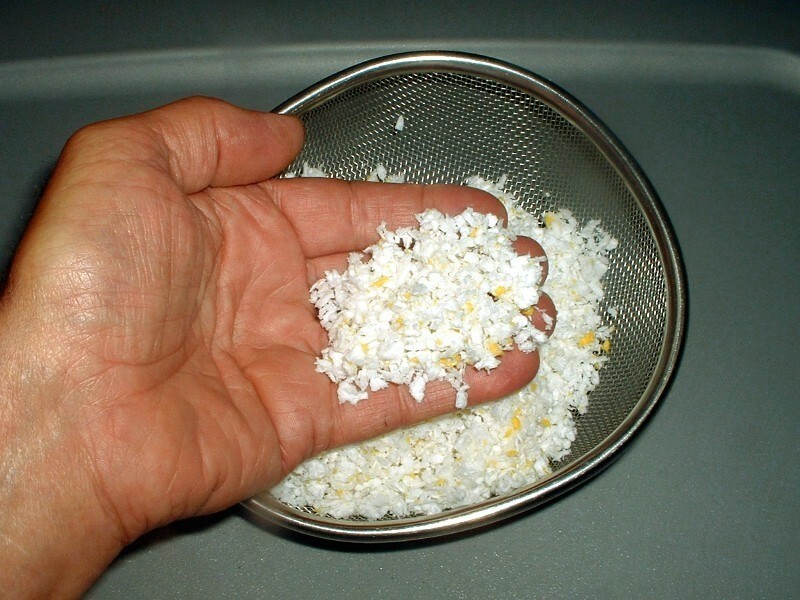 I was looking at how to recycle styrofoam and came across this. I grow cactus and succulents and this idea is an excelent way to recycle and use it as a substitute for the perlite we use, which is not easy to find where I live. Thank you!